Originally published in hardcover in 1983 by Holt, Rinehart, & Winston. 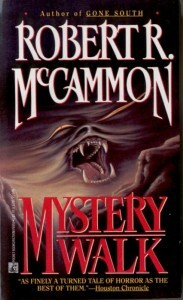 McCammon's first novel published in hardcover. Two boys with extraordinary powers...to use for good or evil. Restless spirits roaming the dark Alabama woods, infesting a Chicago hotel, haunting an amusement park ride. A lustful girl who drowns, then reappears. Wherever human fears hide, there in the shadows lurks the Shape Changer. They were known as the healer and the demon-boy. They faced each other for the first time at a tent revival meeting. The inexplicable energy that passed between them frightened the two boys. Each began dreaming the same dream: an eagle made of smoke locked in combat with a snake made of fire. And seeing things: a bestial shape with glowing red eyes. Billy Creekmore and Wayne Falconer would feel that same eerie charge every time their paths crossed over the next decade, as each undertook his Mystery Walk through life. Billy used his powers to set the dead to rest in the traditional way his Choctaw grandmother had tutored him. Wayne used his healing gifts to raise money for his minister father's evangelical crusade. One of them wanted the other dead. The Shape Changer wanted both dead. 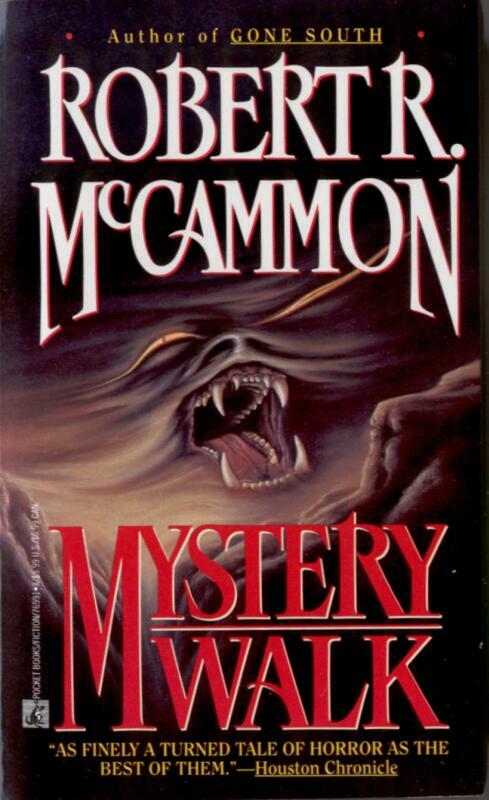 Not since Stephen King began terrorizing readers has a novel of such masterly horror as Mystery Walk appeared. Set in a deceptively sleepy Southern town, and reaching to the bleak deserts of Mexico, it is the story of two unforgettable characters on a collision course, thrust into a nightmare world in which good and evil—and reality itself—become toys in the hands of an ancient, unstoppable force. Its graphic description, driving narrative, and indelible images prove Mystery Walk the best new horror fiction in many a year. FROM BETWEEN ITS BURNING FANGS. They first met as boys at a hellfire-and-salvation evangelist meeting in the heart of the southland. An inexplicable energy passed between them and from that night on they both dreamed the same dream...an eagle of grey smoke locked in interminable combat with a rattlesnake of crimson fire. Billy Creekmore, the poor farmer's son, with the Choctaw blood that empowered him to ease the souls of the sudden dead from their earthbound torment. Wayne Falconer, the son of a crusading preacher, with the power of healing through fingers alive with a blue fire. Through their young years and into manhood, wherever their paths crossed, a fearsome enmity flared. One of them wanted the other dead. Out in the night roamed the Shape-Changer, the evil one of Choctaw legend.